Stainless steel case with a silver-tone stainless steel bracelet. Fixed silver-tone stainless steel with a blue aluminium top ring bezel. Blue dial with luminous silver-tone hands and index hour markers. Trending at $982.30eBay determines this price through a machine learned model of the product's sale prices within the last 90 days. Model WK1112.BA0311. I currently have quite a few for sale. The crystal is in perfect condition with no scratches. The back casing is in good condition with typical wear scratches. The bracelet is stainless steel and it is in good condition with light scratches. Case: 37mm excluding crown. Black dial. Rotating Bezel. Not many of these were made. I currently have quite a few for sale. The crystal is in mint condition. Zero scratches on crystal! The back casing is in excellent to near mint condition, as the clear factory protective sticker is still attached. Black Dial. Series: Formula 1. 60 Second / Minute Scale. 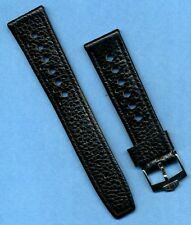 Black Rubber Strap with Perforated Pattern. Stainless Steel Tang Buckle. 41mm = 1 5/8" Case, 7" Adjustable Strap. Luminescent Hands & Hour Markers. A watch with a sporty look, powerful and decisive at every second. An exclusive dial bearing Manchester United’s colors. Band Material: Stainless Steel. Band Color: Silver-tone. Band Clasp: Fold Over with Safety Release. Trending at $846.00eBay determines this price through a machine learned model of the product's sale prices within the last 90 days. Not many of these were made. I currently have quite a few for sale. The crystal is in mint condition. Zero scratches on crystal. The back casing is in very good shape with light scratches. The bracelet is stainless steel and is in good to very good condition with wear scratching and mild stretch. This watch does not disappoint. The pictures do not look the best because the glass on the Kirium model is rounded and thus gives off a glare when trying to photograph. The crystal is in perfect condition with no scratches. Selling my vintage Tag Heuer 2000. Watch comes with original box and papers and all the extra original links. Watch keeps perfect time. No scratches on the Sapphire Crystal. Watch is moderately used with some daily scuffs on the band. Band has the divers extension as well. Overall in great condition. (no gulf edition box). - Gulf Racing Special Edition Watch. Featuring The Bright Colors of Gulf Racing. - Blue Dial with Gulf Stripes. - Stainless Steel Screw-down Case Back with GULF Logo Special Engraving. TAG Heuer Aquaracer Quartz WAY1110.BA0910 Wrist Watch. Condition is Pre-owned. This watch is in good condition and running great. Please note that I purchased it professionally reconditioned by a jeweler, meaning that it had a new battery installed and sections of the case and band were re-brushed. Thus the case back has been refurbished and will appear different than what you would expect. See pictures for condition. Also please note that it comes with its original metal band however it is sized for a maximum wrist size of 6.25 inches and I do not have the extra links for it. The watch will come as is without the original box and manuals. Watch and bands only. Shipped with USPS Priority Mail. Tag Heuer Aquaracer 40-41mm WBD1110.BAO928. Condition is Pre-owned, this was my daily wearer and has thus incurred some desk scratches and minor wear throughout. The sapphire crystal is perfect and the metal case is good with some minor wear marks/scratches. The band has some deeper marks from being adjusted. The watch is only a couple of months old and will come with the original receipt. This is a beautiful understated dive watch that is good for any occasion. The sapphire crystal is spotless. Booklet and box also included. 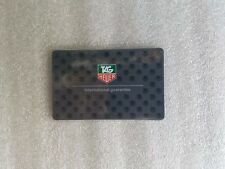 Tag Heuer Formula 1 Black Dial Stainless Steel Men's Watch WAZ1110.BA0875. Condition is Pre-owned. This is a nice watch. It’s used but in good shape. It has some desk rash on the clasp but could be polished out or worn as is. It is sized for a 7.5 inch wrist and does not come with any extra links. The auction comes with only the watch no can’t find the box. Check out my feedback and see I am an honest seller. I ship for free in the US and only to the US. check out the pictures as they are part of the description. Thanks for looking. REFERENCE #: CAC111B. This is not negotiable. WEIGHT: 136.7 grams. Bluebonnet Rarities is an Estate purchasing firm traveling the United States looking for unique and interesting coins, estate jewelry, watches and antiques. Original crown. New battery. Stainless steel case and bracelet. Bezel Crown Gold filled. Original crown. Size: 42mm across, including the crown (37mm w/o crown) and 43.5mm lug-to-lug. 20mm lugs. Stainless steel case and bracelet. New battery. BLACK DIAL. SWISS MADE. SAPPHIRE CRYSTAL. ORIGINAL BOX & PAPERS. RUNS PERFECT. EXCELLENT PRE-OWNED CONDITION. CRYSTAL IS MINT. PROBLEM FREE ITEM. Used Tag Heuer Watch Aquaracer CAY111A.BA0927 Chronograph Mens. Condition is Pre-owned. Shipped with USPS Priority Mail. Shows signs of wear, witch scratches on case, bezel and bracelet. No box/papers. Worn very little. Crystal is perfect. There is a small scratch on the lug, as seen in the pictures. I didn't even notice that until it was under the studio lights. Not really noticeable when wearing or looking at the watch. Great grab and go quartz diver. I currently have quite a few for sale. This watch is not for the faint of heart. The crystal is in perfect condition with no scratche s. The back casing is in excellent condition with light scratches. The crystal is in excellent condition with only a couple minor specks near the 8 hour and the 1 hour. I tried to get them in the pictures with not much luck. Dial: Blue Chronograph Dial with Luminous Hands and Hour Markers and Date Display. It is a very beautiful watch and it has been well taken care of! Tone: Silver Tone Stainless Steel Case and Bracelet. I currently have quite a few for sale. The back casing looks good with light wear and scratches. The back casing was buffed a few years ago and as a result the serial and model numbers faded. The band has mild stretch. Trending at $331.66eBay determines this price through a machine learned model of the product's sale prices within the last 90 days. Dial/hands are perfect. All functions have been tested and work perfectly. Condition is Pre-owned but is very very gently used and in excellent condition. Stainless steel case with a stainless steel bracelet. Uni-directional rotating silver-tone bezel with a blue ceramic top ring. This is the mid-size (i.e., Boys/Unisex) model with a 35mm wide case (not including the crown). Plastic band is worn but still has plenty of life left. The sapphire crystal is pristine without any visible scratches that I can see. CASE SIZE: 37mm. BAND LENGTH: 6 1/2". WEIGHT: 97.6 Grams. This is not negotiable. Bluebonnet Rarities is an Estate purchasing firm traveling the United States looking for unique and interesting coins, estate jewelry, watches and antiques. This watch has been professionally serviced. •All seals (case back, crown, and crystal gasket) were replaced. This watch features a screw down crown and the watch was pressure tested to 100m. Case size: 38mm without crown (~40mm with crown and crown guards). Tag Heuer Aquaracer Calibre 5 Automatic 43mm 30m 1000feet Brand New WAY101B Blue. Condition is New with tags. Shipped with USPS Priority Mail. This model does not disappoint. The crystal is in mint condition. The back casing is in very good condition with light scratches. 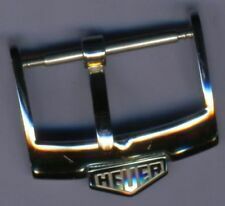 The clasp is in excellent condition with light scratches. The black bezel is in excellent condition with fine marks. 41.5mm stainless steel case, push-down crown, black bezel. Sapphire crystal over a black dial, date at 3, luminous hour markers, and hands. THE CRYSTAL LOOKS JUST AS GOOD WITH NO SCRATCHES OR NICKS. Tag Heuer Aquaracer Calibre 5 Automatic 43mm 30m 1000feet Black face. Condition is New with tags. Shipped with USPS Priority Mail. Condition is Pre-owned. We ll maintained an d a re al g em f or i ts a ge. 43mm = 1 5/8" Case, 7" Adjustable Bracelet. - Luminescent Hands & Hour Markers. No warranty card. - Uni-Directional Rotating Bezel. - Date Feature. - Scratch Resistant Sapphire Crystal. Tag Heuer Aquaracer Calibre 5 Automatic 43mm 30m 1000feet BAY2012. Condition is New with tags. Shipped with USPS Priority Mail. I currently have quite a few for sale. The crystal is in mint condition with zero scratches. The back casing is in very good condition with light scratches. It is made of nylon and it is very heavy duty. There's no visible scratches anywhere that I can see and the sapphire crystal is perfect without a blemish. The rotating bezel works perfectly. The crown works perfectly and screws in nice and tight. Silver-tone stainless steel case with a silver-tone stainless steel bracelet. Anthracite dial with luminous silver-tone hands and index hour markers. minute markers around the outer rim. Dial Type: Analog. 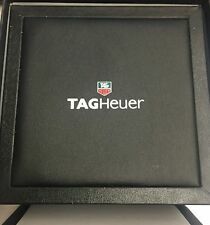 Tag Heuer Hard Shell Case in Box - New! Includes a cloth!